After nearly 20 years of delighting Epcot guests through music, fireworks, fire torches and more, IllumiNations: Reflections of Earth will be ending in the second half of 2019. The Disney Parks Live Entertainment team is already busy creating new thrills to debut immediately following the conclusion of IllumiNations, continuing the tradition of nightly entertainment on the World Showcase Lagoon. 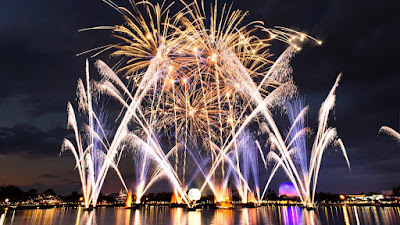 In the second half of 2019, IllumiNations: Reflections of Earth will end its nearly 20-year run as the nighttime spectacular for Epcot at Walt Disney World Resort in Lake Buena Vista, Fla. A new nighttime fireworks spectacular is in development for the park’s World Showcase Lagoon and will debut immediately following the conclusion of IllumiNations.